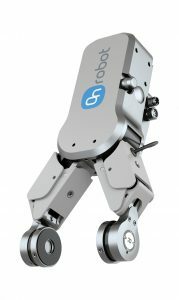 OnRobot, a global leader in end-of-arm tooling for collaborative robots, announced today it will be co-exhibiting next month with Futura Automation at the ATX West show, in Anaheim, CA, February 5-7. OnRobot kicked off the new year by shipping pre-orders of its newly-available Gecko Gripper, that uses millions of micro-scaled fibrillar stalks that adhere to a surface using powerful van der Waals forces — the same way that geckos climb. On display for the first time at the ATX Show, the Gecko Gripper lets robots pick up flat, smooth objects with significant energy savings over existing grippers such as vacuum grippers, which require compressed air that is costly, power-intensive, and bulky. 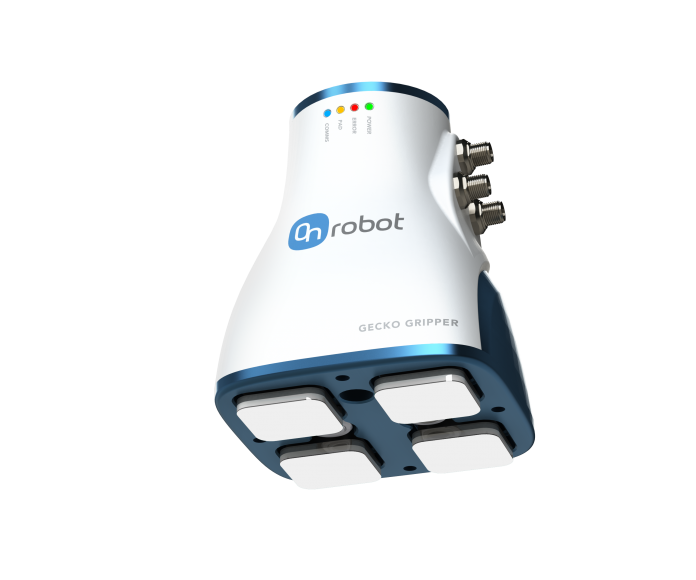 The Gecko Gripper interfaces with any robot and can pay for itself in eight months in cost savings for electricity to compress air alone. Now being sold to manufacturing companies worldwide, the Gecko Grippers can affix to a wide range of surfaces including fragile items that vacuum grippers can’t handle. The Gecko Gripper also offers competitive advantages over electrostatic grippers, which are weaker and require high-voltage systems to operate.